Congratulations! After a long search and some nail-biting negotiations, your new home is signed, sealed, and almost delivered. Now, with the move to your new place looming large, your mind is probably awhirl with everything you have to do. As the date gets closer and life in limbo gets more hectic, stay organized with this comprehensive step-by-step guide to surviving your move in one piece. Think ahead– If possible, arrange to have the settlement date for your new property at least a day or two in advance of your moving date. This will give you access to your new place, and plenty of leeway and extra time for cleaning, organizing, and moving stress-free! Organize– Purchase a binder with inside pockets or folders. This will be your Moving Day File going forward. Make notes, make “to-do” lists, write down reminders, and keep all of your checklists, paperwork, receipts, property inventory, and other important documents to do with moving (including this Movers’ Survival Guide!) all together in one place. Trim the fat– Minimize what you’ll need to pack by sorting through the contents of closets, drawers, and storage spaces. Weed out what you don’t want or need, then hold a yard sale or donate unwanted items to family, friends, or charity. Outgrown clothes and toys are a great place to start. Hot Tip: Use social media like Facebook to advertise yards sales and goods that are up for sale or up for grabs! Insure– Talk to your home insurance agent about changing your policy for your new abode, and ask about insuring your belongings. Take photos of your more expensive art, electronics, jewelry, antiques, and other precious or irreplaceable items, determine replacement values for insurance purposes, then think about insuring these items for your move. Hire a mover– Ask your REALTOR®, family, and trusted friends for recommendations and check Angie’s List for reviews. Make sure your movers are reputable and insured. Get several estimates (on paper!) and book your choice for your moving date in advance. If you’re going to move yourself, reserve your truck or trailer now! Make a plan– If possible, obtain a floor plan of your new home. This will help you picture where your furniture will go when you move, and remind you to budget ahead of time for any new items you might need. If a piece of your current furniture won’t work in the new digs, donate it or include it in your yard sale! Take time off– If you’ll need time off from work to move, once your moving date is set, notify your employer of your required days off. Fix it– If there are repairs you’ve agreed to do before leaving your current home in the hands of its next owners, now’s the time to complete them. Make sure to take before-and-after pictures, and keep receipts and invoices for any materials used and contractors hired to do the work. Keep all of these together in your Moving Day File! Box collection– Now is the time to start collecting your moving materials. If a nearby friend has just moved see if you can take boxes off her hands. Office supplies delivered to your job are a great source of packing boxes. Visit package stores and moving stores or order boxes and other supplies online. Hot Tip: Find environmentally friendly versions of packing materials on websites like ecobox.com. Start packing – Yes! It is never too early to begin. Use the next month to gradually start packing everything that you don’t need. Empty bookshelves, remove wall art, pack up home décor items, any kitchen appliances that aren’t in regular use, the holiday china. Pack out-of-season clothing and outerwear. Pack up the contents of your storage spaces. Don’t forget to label the side and top of each box in permanent ink. Use detail! Hot Tip: If you have a spare bedroom or study or enclosed porch – any room that you don’t use on a daily basis – designate that space as your “moving room”. Boxes you’ve packed and items that need to be moved, can all be stored here. And if this isn’t a space that’s used much, pack its contents first so you’ll have more space to work in. Book it– If you’re doing a longer-distance move, make your arrangements now. Book all of your travel plans such as flights, hotels or calls to family members you might need to stay with at your destination or along the way. If you’re flying pets, make sure you have the necessary documents and carriers. Route it out– If you’re driving to your new place, now is a good time to plan your route, how you’ll travel, and what to take with you in the car. Decide what needs to travel with you, including clothing, games for the kids, books, toiletries, etc. Always plan for an extra day or two if you’re driving, just in case you get a flat or decide to take a detour. Don’t forget to include accommodations for your pets! Hot Tip: If you’re going to want to pack more in the car, you may want to consider purchasing an overhead carrier. School yourself– if you have kids and your move is taking place during the school year, notify your children’s schools of their last day. Enroll your children in their new schools so they’ll be ready to make the change immediately after your move. Obtain copies of their school records and arrange to have them transferred to their new schools. Get connected– Set up utilities and internet service to be turned on in your new home on the day BEFORE you move. You may need to coordinate this change with the sellers of your new place. Allow your REALTOR® to act as a go-between to make this happen. Unplug– Contact all of your current utility companies and your internet provider and order disconnection for the day AFTER you move. File it– Pick up an accordion file to hold all of your important documents: insurance policies, medical and school records, passports, and so on, to be sure they won’t get lost during the move. Keep these close, to go into your First Night box. Doctor it– If you’re moving out of town, ask all of your family physicians and dentists to recommend medical and dental practices in your new community. Obtain copies of medical and dental records for each family member. Place these in your file of important documents! Don’t forget pets! Plan a visit to your vet and make sure all of your pet’s shots are up to date. If your move is going to change your veterinary needs, make sure to obtain all records for your animal companions and get some recommendations for your new town. Eat up– Begin thinning out your pantry and kitchen cabinets by using up canned goods, pastas, and other non-perishables items, or pack them away for your move. In and Out– Begin dismantling any outdoor furniture or children’s play areas, including slides and swings that you’re bringing with you. Check the garage, shed, and other storage areas to determine what needs to be packed. These areas are often overlooked when packing the rest of the house. Make sure to call your township to find out how to safely dispose of any hazardous household chemicals like paint, oil and solvents. Hot Tip: When packing up your garage, basement, or shed, remember not to pack your toolbox! You’ll need to keep it handy for breaking down and reassembling bed frames or furniture, removing hardware from walls or window-frames, and remounting curtain rods and wall art at your new place. Plant it– Start finding new homes for your plants, if you know they can’t go with you. If you are moving plants, make sure you know how they’ll be stabilized and transported. Cancel it– Make sure to stop or transfer all subscriptions to local newspapers, magazines, bottled water or any other home delivery service you currently receive. Map it– If you’re driving to your new home, get a detailed map and plot out your route. Email a copy of the directions to your movers, and print several copies as well so you can hand them a copy on moving day. Keep your own copy in your Moving Day File! 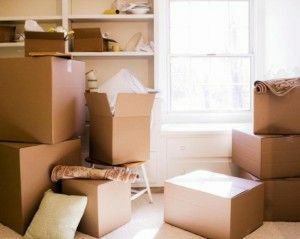 Keep packing– By now, you probably have plenty of boxes packed away in your “moving room.” Now’s the time to add more items from your wardrobe, anything you don’t need from your linen closets, medicine cabinets, and bedside tables, plus any decorative pieces, books, or wall-hanging bits that still remain. Hot Tip: Label each box with what’s inside, where it goes and any special instructions. Be as detailed as you can. This will make it easier when you’re unpacking to know what needs to be unpacked first. You can even put a big bright sticker on the boxes that contain your essentials, for easy identification. Child’s play– If you have children, consider arranging for a sitter for Moving Day, either on-site, or at your sitter’s home. Having the kids around while boxes and furniture are being removed can be traumatic, especially for smaller children, or even dangerous, not to mention distracting for already very busy you! If you prefer to share the experience with your little ones, and they’re too small to help, have a plan to set them up with whatever will keep them occupied, happy, and not underfoot. Auto correct– Make sure your car is fully checked and serviced, and that your tires are in good shape. While you’re at the shop, ask your mechanic if he can recommend any service stations in your new city. Register– If you’re moving out of state or province, notify your current Department of Motor Vehicles or equivalent of your address change and inquire about registration in your new state or province. Change your car registration and insurance for your new location. Transfer– Make sure all of your family’s prescriptions are transferred to a pharmacy in your new city. If you’re doing a distance move (including moving out of the country) make sure you have enough medication to last until you get settled. 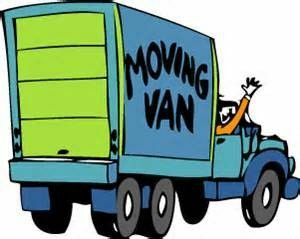 Park it– Make sure your moving van will either fit in your driveway or on the street, and that the distance from the van to the front door does not exceed what the moving company allows. This additional charge is called a long carry. If you live in an area with metered or limited street parking, you may need to contact your township about your move. Keep it simple– Try to limit your grocery purchases for the next couple of weeks and work on emptying your refrigerator and freezer as much as possible. First Night– Get to work setting up your First Night box. Into this box goes: a set of basic tools with a flashlight and scissors or box cutter, light bulbs, trash bags, eco-friendly paper towels, paper plates, cups, and plastic utensils. Also, everything you need to set up at least one usable bathroom, including soap, bath and hand towels, a shower curtain, toilet paper, and a first aid kit. A laundry bag, into which will go your sheets when you strip beds the morning of moving day, and laundry detergent. You’ll also need some bottled water, and very importantly, some non-perishable snacks, like dried fruit, pretzels, granola bars, or nuts to keep you energized during the day. A pot or two can come in handy if you choose to cook on your first night. Make sure to include a corkscrew and bottle opener for that well-earned glassful (or paper cupful) at the end of the day. And last but not least, an easy breakfast for the following morning. Bagels, toast, fruit, and cereal are quick and travel easily. Change-up– Visit your local post office or go to www.usps.com to fill out your change-of-address form. Send notices to employers (old and new), friends and relatives, and any companies and organizations that need notification of your address change. Go online to update your address change with the IRS and your voter registration. Pack it– Finish packing up your belongings as much as possible, including dishes, glassware, all the contents of closets. Leave out the minimum needed in your kitchen to get your family through the next week. Make sure to have an empty box and packing materials at the ready to contain the rest of your kitchen. Overnight it– Pack an overnight bag for each family member for your first night and day. Clean sheets, sleepwear, a couple of changes of clothing, toothbrushes and all toiletries are vital. A few extra snacks wouldn’t hurt! For kids, any special toy, book, game, or stuffed animal can be added the day of the move. Toast it– Be sure to have something easy and mess-free on hand for breakfast on Moving Day. Bagels or bread can be toasted in the oven if you’ve packed up your toaster, which along with some fruit will give you the energy you need and avoid creating dirty dishes. Use eco-friendly paper plates and utensils, and bring them with you to your new location. Sweep up– Create a box for cleaning supplies for your new place, and keep a mop and broom handy for quick clean-up of your old place after the move. 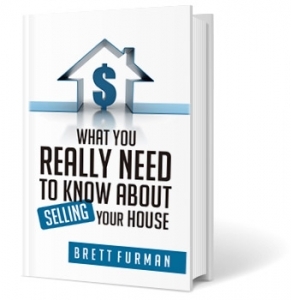 Hot Tip: A lovely gift to the owners of your new home? Arrange for a service to come in after your move and power through with a quick and thorough cleaning. Charge it– Make sure your phones, laptops, and any handheld devices are fully charged and ready for the long day ahead. Cash out– Be sure to keep your checkbook handy, and cash on hand to pay and tip your movers. ~Any medications your family takes daily, along with some ibuprofen in case of strains or soreness from all that heavy lifting. ~Your coffee maker and chargers for phones and electrical. ~Any remaining unpacked odds and ends. ~And very importantly, don’t forget your pets! Food and water bowls and pet food should go into your First Night Box. Unplug all major appliances, and open the doors to the refrigerator and washing machine. Add all pillows and bedding from all beds to one last box, and label it clearly. Consider it a smaller brother of the First Night Box. Along with the sheets in each family member’s suitcase, this will make it simple and easy to make up the beds in your new place first thing. Accompany your mover as he or she inventories your possessions and makes condition reports. Lock windows, turn off lights, close doors, and take a final tour after the movers have finished to make certain nothing is left behind. Take time to say good-bye. Place your First Night box in the car, buckle up, and off you go!